I have chosen a new label. It's for when people ask a certain set of questions about sport, what I do in my spare time etc. I've been rubbish about giving a straight answer in the past, but now I have found a label that I like at the moment, and can explain in 3-4 words or 3-4 hours I'm happy about that. I've been a high fat/low carb athlete for 18 months. Though I find it hard to think of myself as an athlete (it's for fun, not my job, and I'm not exceptionally good at it) I have gotten over the fact that actually I am one. The high fat/low carb bit is something I've followed for 18 months and there were a good few reasons for it (gaining a little weight, stomach issues during an Ironman, technical capabilities of bike handling, not having any appreciable sweet-tooth) and I'm very much comfortable with that having spent a reasonable amount of effort reading and researching around the subject. Being a fat burner to the extent that I am, mainly through genetics and day-to-day diet, I am in a great position to do endurance sports of a length that even people who do what is socially accepted to be a blimmin' long way (e.g. marathons & Ironmans) think is a long way. And it appears that my fuel-burning engine is very well suited to going as long as I can practically manage. The work I have to put in is obviously being strong, controlled and trained enough to be able to run that long without breaking myself fundamentally at the musculoskeletal level. So that's what I'm focussing on now. I've already enjoyed a few experiments in Ultra running without using carbohydrates as fuel. And I have a good set of loose rules that I understand pretty well at the distances I've covered so far to be able to know what effort levels I can cover those distances at and relate in the amount of carbohydrate I'd need to put back in (if any) in order to be able to maintain that effort level from a metabolic energy point of view. What's really really positive for me right now is that my running coach is bought-in and totally OK with this stuff. I've handed him the data I got from the two metabolic assessments I had, plus the calculations I did with the data. He's got first-hand experience of highly-performant ultra runners who don't take in much fuel during a race. And he's an advocate of real food over "sports nutrition". Very happy with this indeed. Now I just need to find a few races to target later this year so I can carry on proving the low-carb point more quickly than I have in the past. * - Many anti high-fat diet skeptics believe that a high fat diet means what was popularised with the initial phase of Atkins; bacon, eggs, chops, cheese and low to zero veg. The point with Atkins was that that was an initial phase only and the end game involved a *lot* of vegetables, just not starchy ones. I eat a lot of vegetables! 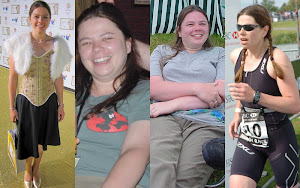 I stumbled on your blog while searching the net for info on low carb marathon training. I've been LCHF off and on for a while, but steadily since early spring. In other words, plenty of time to get "adapted". I'm slow by nature (11 min/mile, 5K PR 29:45), but since really committing to LCHF eating, my running as absolutely tanked. All regular runs of 3 mi are sloooow and with difficult effort--nothing enjoyable going on here. My legs generally feel dead, not able to push at all. It's very discouraging. I've tried tinkering with my macros of fat/protein/carb--they actually look very similar to yours except in total kcals. Essentially, you are taking in more fat than I. I haven't felt hungry at all--in fact, often don't eat much. I've also been tired all the time--like want to curl in a ball and sleep all day. This is odd for me, because generally I find that LC eating leaves me MORE energized. So...not that you are a nutritionist, but I've been banging my head over whether I can keep going with this while training for a marathon. I'm at a point of needing to figure out a solid race strategy for fuel, and energy. I keep thinking maybe I should just eat sweet potatoes and forget the fat fueling idea. I'm happy to see that you've done endurance successfully and wonder if you can make anything of my situation. Am I just not eating enough calories (fat)??? I certainly don't try to restrict, just literally not able to get enough in--and that's with drinking "bulletproof" coffee. :( Sorry to rant on, just very frustrated and hoping you might have an insight or encouragement. Thanks a bunch--and very cool reading of your transformation. Argh! I only just saw your comments - for some reason the notification didn't come through. To be honest, I don't know enough about the tiredness thing to work out why it happens. My gut feeling is that there are a multitude of reasons; some vitamin deficiencies, D, B12, iron; thyroid functional changes; disturbed quality of sleep; other stuff... I'm not sure that absolute calories is going to be the problem unless you're really very lean already. Tim Noakes has a view that some people just need more carbs to perform well, even though he says dietary carbohydrate isn't a necessary thing. It might be worth taking the tiredness to the doctor and see if they'll test for vitamin deficiencies and thyroid functional difficulties as it's a nice easy fix if all you need is a multi-vitamin boost. There are some who think there is a need to take in more carbs to support endurance sports requirements around absorption of micro-nutrients and that endurance athletes simply need more micro-nutrients due to recovery and adaptation etc. I'm certainly not getting the dead legs feeling at all, simply the tiredness, though I must say that over the last 10 days or so I've felt a lot perkier. I've been taking some pretty strong multi-vitamins and allowing myself more sleep on a couple of mornings and arranging my day differently around that. I'd say, like Noakes does, that it's all pretty much individual and just needs more discovery for some than others. He also says that the best way to do this os over many months of adaptation and gentle getting used to lower and lower carb intake rather than shocking the system going cold turkey. About 12 months seems to be what he's advocating and that's quite a long time. I'd say to persevere, investigate vitamin supplementation just in case and examine the amount of sleep you're actually getting. You might be surprised about that. And if it's just not working, up the carbs a bit again, say 100g-200g a day from mainly vegetable sources and see how that goes? I wanted to add that I'm certainly not overtraining, as my total running volume is quite low. My times have gone from 11 min/mile to 13 or so *at great effort*. So you see why this is frustrating. And since my training levels would be well below yours, I probably shouldn't need the extra Kcals. Grrr--very confusing!! Yeah, I totally get the frustration! A New Chapter; or Back To Basics? My favourite race of all; it's Blenheim!